As North Korea began its 7th Worker’s Party Congress in May, it shepherded over 100 foreign journalists around to sites largely unrelated to the event they had come to see. One of these locations was the 326 Electric Cable Factory in Pyongyang, where the most noteworthy sight for reporters was a stack of boxes from Dow Canada—a shipment of chemicals that should have been subject to Canadian export controls when they departed for the DPRK, presumably within months of their production in August 2014. “How had these products made their way from Canada?” one journalist later asked me. I had heard a similar question about one year earlier, when the UN Security Council revealed that North Korea’s drones were using Canadian flight-control computers. North Korea’s sophisticated evasive techniques had succeeded, as in so many other parts of the world, in convincing reputable manufacturers that the end-user was somewhere other than North Korea. The two cases have a more general significance for Canada, however: they highlight the threat from Pyongyang that Ottawa has traditionally paid too little attention to, feeling (with some justification) far removed from the situation. These incidents serve as a reminder that Pyongyang’s illicit activities have an extensive reach that includes even Canada. They also underscore Canada’s underappreciated role in tackling the challenge posed by Pyongyang. In 2015, Canadians elected a new government for the first time in nearly a decade. Though Prime Minister Justin Trudeau’s liberal government continues to consider policies on a host of international security issues, including North Korea, it has taken one key decision already: after a decade of seeming disinterest in multilateral institutions, Ottawa will reengage fully in cooperative global peace and security initiatives. “It doesn’t serve our interests—or the world’s—to pretend we’re not deeply affected by what happens beyond our borders,” Trudeau told the General Assembly in September. As the threat from North Korea grows over the coming months and years, affecting Canada and its allies, we can expect that Ottawa will further elaborate its North Korea policy for two main reasons. First, it can help shape thinking in other capitals with a similar view of the North Korea issue. Second, the sanctions and human rights agendas targeting Pyongyang have clearly demonstrated that the near-term situation requires greater multilateral cooperation than ever before. While other nations may be more central to the conversation over North Korea, countries like Canada can and should be a constructive part of it as well. Canada has traditionally ascribed little relative priority and attention to North Korea since the Korean War, when Canadian troops fought against the DPRK under the auspices of the UN Command. This disinterested stance was particularly apparent under Canada’s previous conservative government, which held power from 2006 to 2015 under Prime Minister Stephen Harper. Foreign policy during this period was generally distilled to a black-and-white picture, composed of allies and adversaries. Doors would be opened for allies and shut firmly for adversaries. North Korea, expectedly, fell into the latter camp. After the sinking of the South Korean naval corvette, the Cheonan, in 2010, Ottawa pursued a policy of “controlled engagement” and “tight restrictions on the relationship” with North Korea. Behind this policy was a belief that the North’s effect on Canada was primarily indirect through the United States and Canadian allies in East Asia, and Ottawa therefore had little to lose from closing avenues for bilateral interaction with Pyongyang. For Canada, the Iranian nuclear issue was far more concerning. In practice, the previous leadership’s policy of “controlled engagement” had several dimensions that each reduced regular, widespread thinking within Canada on DPRK issues. First, the government halted engagement with North Korea through the formal diplomatic relations that the sides had established in the early 2000s. Canada did not accredit an Ambassador to cover North Korea, and it allegedly rebuffed North Korean requests for discussions over the establishment of an Embassy in Ottawa. The Harper government even prevented any invitation of North Korean officials to Canadian diplomatic events overseas. Instead, engagement was, in practice, limited to consular issues (which arose in importance when North Korea detained Canadian pastor Hyeon Soo Lim) and informal exchanges on the margins of international fora. Yet, even there, Ottawa has been patently uninterested in dialogue. In 2011, it famously boycotted the Conference on Disarmament while North Korea held the rotational chair—a largely administrative responsibility. The limitations on engagement extended to trade. Canada’s bilateral trade with North Korea had long been a mere trickle, minimizing the cost and risk of Ottawa’s 2010 decision to add North Korea to its Area Control List. This action, which cut off all bilateral trade except a small number of licensed humanitarian shipments, meant that Canada would have to expend very few resources to implement any new, relevant UN Security Council sanctions resolutions. It is not surprising that Canada does not appear to have actively participated in diplomatic outreach campaigns following the adoption of new Security Council resolutions on the DPRK, or in responses to North Korean proliferation more generally. Nor was it willing, under the previous government, to jeopardize its ties with China by bringing more pressure to bear on Beijing over the North Korea issue. The Sino-Canadian relationship was expanding in the economic realm, but otherwise remained fragile. Canada’s most active area of interest may have been the promotion of North Korean human rights. It was, and remains, a significant donor to World Food Programme activities in the DPRK, and it strongly endorsed the 2014 UN Commission of Inquiry investigation of the human rights situation in North Korea. Looking back on the core pillars of the Harper government’s North Korea policy, it is evident that the approach was low-priority, low-maintenance and firm in nature. Canada’s outlook on foreign policy and the role of international organizations changed with its government, but in practice, there has not yet been significant or noticeable change in its North Korea policy. This is the case despite the numerous developments in North Korea’s WMD programs in the first year of Trudeau’s tenure. His government demonstrated this relative consistency in January 2016, when the North tested its fourth nuclear device a few months into Trudeau’s term. In response, Canada issued a predictably condemnatory statement and eventually co-sponsored UN Security Council Resolution 2270, which introduced a raft of new sanctions on Pyongyang. However, the accelerated pace of North Korea’s nuclear testing, missile development and cyber activities appears to have begun to shift thinking within Ottawa around the nature of the North Korean threat. Namely, the previously-held view—that North Korea was problematic primarily insofar as it was threatening to allies—is evolving. 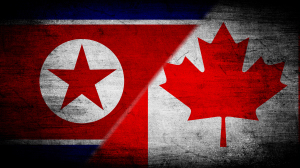 A greater cross-section of the Canadian policy community now seems to recognize that the North Korean situation is inherently problematic and potentially a direct threat to Canadian interests. As evidenced by the dispute in Northeast Asia over South Korea’s planned deployment of the Terminal High-Altitude Aerial Defense (THAAD) system, the North Korean threat has the potential to destabilize a region in which Canada has strong commercial and political interests. Similarly, the country’s cyber attacks, especially those believed to have been carried out against financial institutions, could further threaten the integrity of the global financial system. Despite these gradual-but-discernible changes, Canada has yet to make practical amendments to the core pillars of the former government’s North Korea policy. Its “controlled engagement” policy stands, with limited consular interaction (only out of necessity) continuing to form the “engagement” component of that picture. North Korea remains on Canada’s Area Control List, and Ottawa’s preferred approach to human rights issues in North Korea remains unchanged. Several explanations exist for Canada’s retention of a seemingly static policy toward North Korea, even as the situation evolves. First, Ottawa is still in the process of reviewing its policy on a host of issues, including Pyongyang. Second, global opinion on necessary and reasonable responses to the North’s latest actions has moved towards existing Canadian policy; support for stronger sanctions is growing as the country accelerates its military provocations. The landscape for UN sanctions remains highly uneven regarding political buy-in and implementation, but it is harder than ever before for North Korea’s overseas friends to publicly justify their relationship—especially if their engagement encroaches on the sanctions regime. Finally, the previous government left little room for Trudeau to strengthen the pillars of the current Canadian stance. North Korea’s latest spate of provocations and the trajectory of its military developments mean that the policy inclination in most concerned capitals will be to show Pyongyang that its actions have consequences, namely by further restricting engagement or access to relevant markets. Given the nature of the Harper government’s policies, it is difficult to get any tougher on North Korea’s access to Canadian trade, which is already largely blocked. Cutting off diplomatic ties, which now merely facilitate consular interaction with an imprisoned Canadian—would run at cross-purposes with Canada’s purported human rights narrative. Yet, as the following section details, Canadian policy can and should change without altering the pillars of its existing approach. In looking for ways to support international efforts to address the North Korean threat and act as a force multiplier, Ottawa should play to its own strengths. The first of these is the enduring global perception of Canada as being at arms-length from the North Korea issue, even as Ottawa’s thinking is evolving to recognize the many ways in which North Korea’s actions may threaten Canadian interests. The second is that Canada is generally well-liked overseas. Its current engaging, panda-hugging, immigrant-welcoming Prime Minister has helped to promote this positive image. Third, Canada has a wealth of experience in developing legislation and implementing export controls that it could usefully impart to others. These factors make Canada well-placed to contribute to efforts to improve UN sanctions implementation and promote international efforts to combat North Korean proliferation in other frameworks. In practice, this would likely involve two complementary strands of activity: greater coordinated diplomatic outreach on North Korea-related implementation and counter-proliferation issues, and technical or legislative assistance to foreign countries requiring either or both. On the diplomatic front, Canada should look to engage and coordinate with countries already active in this area, including Australia, Japan, South Korea, the United States and the United Kingdom. When it does, the particularly sensitive subject of outreach to China will inevitably arise. The traditional focus on human rights promotion by Ottawa (and the Canadian public) has repeatedly put the Canadian government at odds with Beijing, preventing constructive development of bilateral understanding and ties on other subjects. Realistically, if Canadian officials are to advance a discussion of North Korea with their Chinese counterparts, they will have to do so in private working-level settings. More prominent meetings that attract public interest may become ensnared in well-worn arguments over the respective human rights records of the two countries. In thinking about its approach to China, Canada will also have to be cautious over the potential fallout of its ongoing defense policy review. In 2005, Ottawa decided, under significant popular pressure, not to collaborate on US missile defense development. It has announced that it is now evaluating that stance as part of the ongoing study. Should it be reversed, this could bring Canada into the North Korea discussion from a different angle, with certain implications for any security discussions with Beijing, whose loathing of US missile defense is well-known. Outreach to other countries is likely to be significantly less sensitive, though each would require a similarly nuanced approach. Canada can leverage its positive image and perceived comparative neutrality on North Korea to advance conversations over the implementation of UNSCR 2270 and any follow-on resolutions, especially in regions where others have mixed relationships, a difficult history or smaller contemporary footprints. Latin America, for example, is a region that has been directly involved in North Korean proliferation cases and maintains major flags of convenience, but it is also an area where Canada broadly has an established and well-received presence. No matter the focus or audience for its efforts, Canada should coordinate with like-minded partners. Yet, at the same time, it should not be afraid to conduct outreach or demarches independently of them. In particular, while the United States may be the most active and well-resourced nation on North Korea sanctions implementation, its intervention is not always welcome in foreign capitals and can sometimes make foreign officials unreceptive to future conversations on the subject. Messengers should be chosen carefully. This applies to the provision of technical and legal assistance as well, another potential area in which Canada can contribute. Despite calls for a new UN sanctions resolution after the January test, UNSCR 2270 was only born in March and has barely taken its first steps. Though a new resolution appears imminent, the sanctions regime that is already in place needs most is more symmetrical implementation globally. Resolution 2270 encompassed obligations that are potentially bureaucratically burdensome and materially different than those in earlier resolutions. Consequently, countless states have yet to put in place legislation that would allow them to take appropriate enforcement action, devise approaches to “inspecting” all North Korean-linked cargo or comply with the resolution’s financial provisions. Though Canada has a unique approach to its legislation and export control measures as they relate to North Korea, it has gone through an important internal process to reach that point, and it has a wealth of relevant experience from implementing other sanctions regimes. Such experiences could be helpfully imparted to promote a more active discussion in foreign capitals over how to implement the complex provisions of Resolution 2270 and any subsequent measures introduced by the Security Council. Canadian diplomatic outreach and assistance should extend beyond the UN sanctions regime to other relevant frameworks as well. The Proliferation Security Initiative (PSI), a group of countries that endorse a set of principles on the interdiction of proliferation-sensitive cargo, already has Ottawa’s support. Any push to expand its membership and improve the practical steps taken by member nations would, by nature, help facilitate future actions to stop illicit North Korean cargo en route. In effect, the PSI can help act as a crucial last line of defense when the sanctions regime has failed to prevent the flow of illegal North Korean cargo in the first place. Canada can, in turn, continue to expand its efforts to help it succeed. A closer look at Canada’s current and potential future approach can contribute to ongoing discussions in other countries that share a similar outlook on the North Korea issue. A cluster of countries (including several in Europe) are going through the same evolution of thought regarding the diverse facets of the North Korea threat and their implications. Yet, they also understandably believe that their exposure to the situation is limited by geography, politics or both. Despite this belief, they are also open to being more active participants in multilateral policies designed to address the North Korean problem. In this environment, Ottawa has an opportunity to make a meaningful contribution. That effort need not involve changing the pillars of existing policy, but instead should help maintain momentum in international efforts to improve implementation of relevant frameworks, such as UN Security Council Resolution 2270. In coordination with like-minded partners, Canada’s diplomatic voice and its technical and regulatory expertise can be put to good use in service of the nonproliferation objectives those frameworks support. One year into the new Prime Minister’s tenure, as the North Korean nuclear and missile programs achieve rapid advancements, there has never been a better time for Canada to get more involved. Anna Fifield, “In Pyongyang, the calm before the sanctions storm?” Washington Post, May 10 2016. United Nations, Security Council, Report of the UN Panel of Experts Established Pursuant to Resolution 1874 (2009), S/2015/131 (February 23, 2015), 31, http://www.undocs.org/S/2015/131. “Prime Minister Justin Trudeau’s Address to the 71st Session of the United Nations General Assembly,” Office of the Prime Minister, September 20, 2016, http://www.pm.gc.ca/eng/news/2016/09/20/prime-minister-justin-trudeaus-address-71st-session-united-nations-general-assembly. Global Affairs Canada, “Canada – Democratic People’s Republic of Korea,” http://www.canadainternational.gc.ca/korea-coree/bilateral_relations_bilaterales/canada-dpr_korea-rpd_coree.aspx?lang=eng (accessed October 21, 2016). Author’s conversations with North Korean officials. David Pugliese, “Harper government tells diplomats not to invite North Korean, Syrian, and Iranian officials to Canada Day celebrations…but do these countries really care?” Ottawa Citizen, June 29, 2014. Mike Blanchfield. “Federal officials visit Canadian pastor imprisoned in North Korea,” The Hamilton Spectator, February 17, 2016. “Canada boycotts UN arms talks over North Korea role,” BBC, July 11, 2011. “Notice to Exporters: Export Controls to the Democratic People’s Republic of Korea,” Global Affairs Canada, July 14, 2010. The United States, South Korea, Japan, and several European countries carried out demarches across Africa in 2014, for example. While it may be tempting to see this co-sponsorship as a sign of Canadian interest in getting more involved in North Korea issues, such a reading may be premature. Fifty countries co-sponsored the resolution, suggesting that the United States had likely put a call out to like-minded countries to increase political support for the resolution (a hypothesis which would also explain the presence of countries such as Vanuatu, Iceland, and Senegal on the list of co-sponsors). In a more general sense, the Canadian counter-proliferation community is also increasingly aware that it faces a risk that goods made in Canada wind up in illicit weapons programs. This is especially so as Canadian companies seek to broaden and deepen their trade ties with Chinese counterparts, including in the manufacturing sector. Proliferators continue to successfully use Chinese front companies as false end-users or intermediaries when attempting to acquire sensitive goods from Western firms, who are generally eager to do business with the lucrative Chinese market. Sergei Shevchenko and Adrian Nish, “Cyber heist attribution,” BAE Systems Threat Research Blog, May 13, 2016, http://baesystemsai.blogspot.co.uk/2016/05/cyber-heist-attribution.html. See also: “SWIFT attacker’s malware linked to more financial attacks”; Symantec Official Blog, May 26, 2016, https://www.symantec.com/connect/blogs/swift-attackers-malware-linked-more-financial-attacks. The author acknowledges her immense bias on this point. “Defence Policy Review,” Government of Canada, updated August 18, 2016, http://dgpaapp.forces.gc.ca/en/defence-policy-review/index.asp. David Pugliese, “Canada rethinks joining US missile defense program,” Defence News, April 19 2016, http://www.defensenews.com/story/defense/land/weapons/2016/04/19/canada-rethinks-joining-us-missile-defense-program/83233952/.